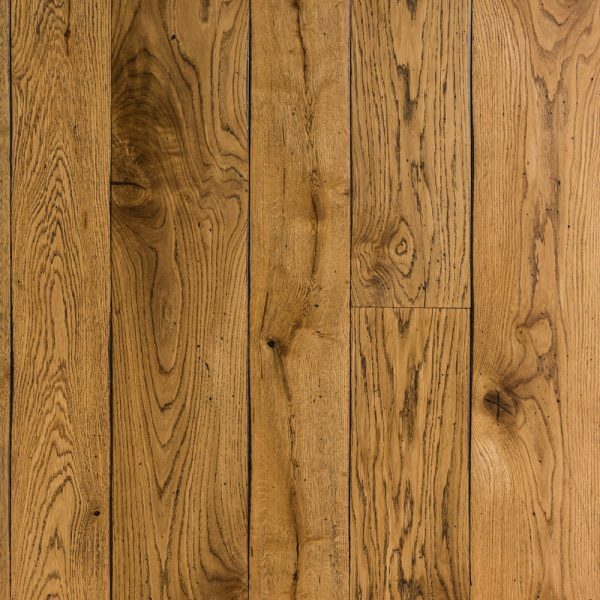 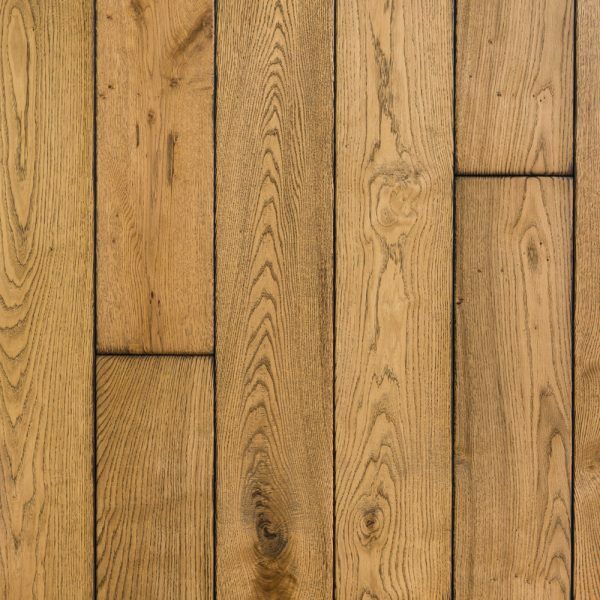 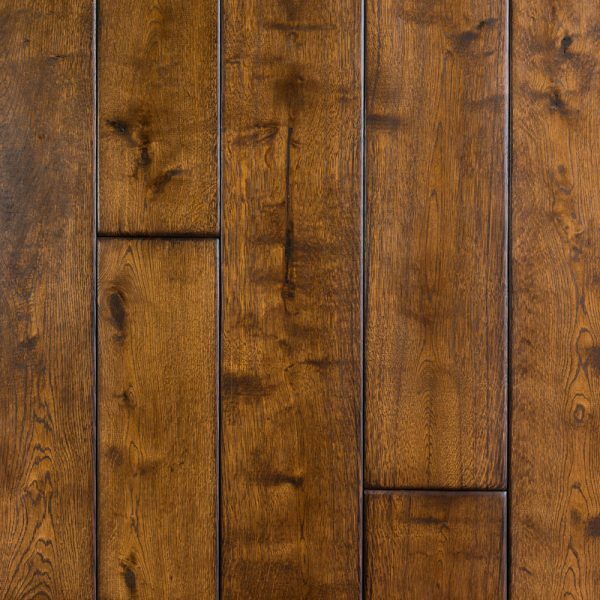 We make two different types of distressed planks, one with a pronounced rounded bevel to look like shrunken old floor boards or our hand cut bevel to give a touch of age. 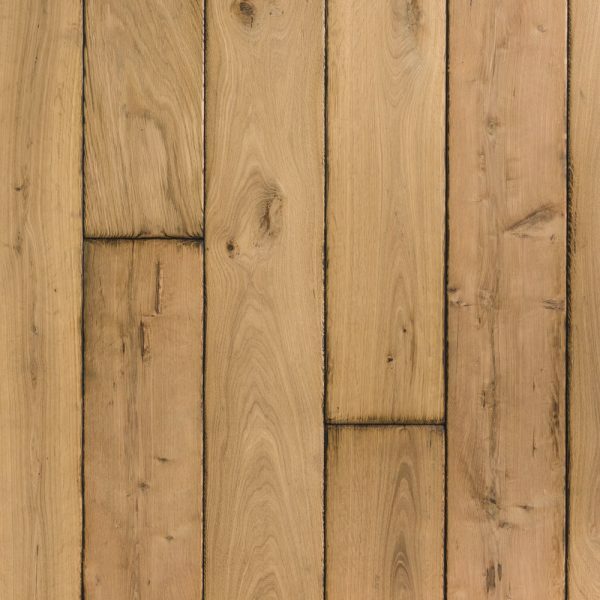 The surfaces are lightly distressed giving a worn feel to the wood. 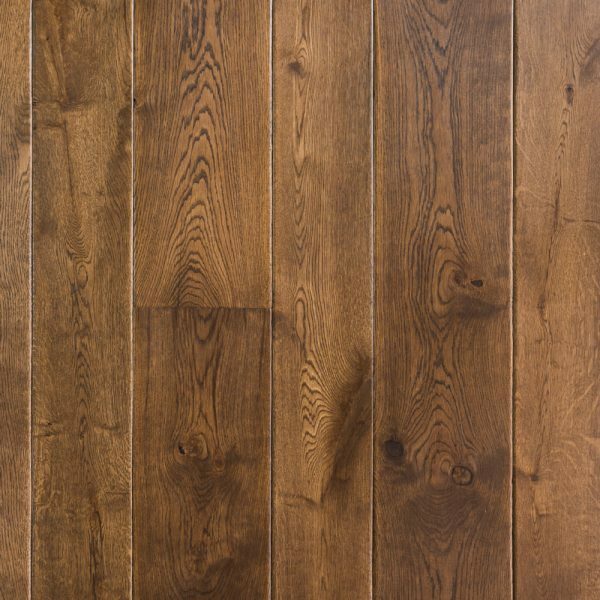 We can offer part filled knots to add character as an additional option.